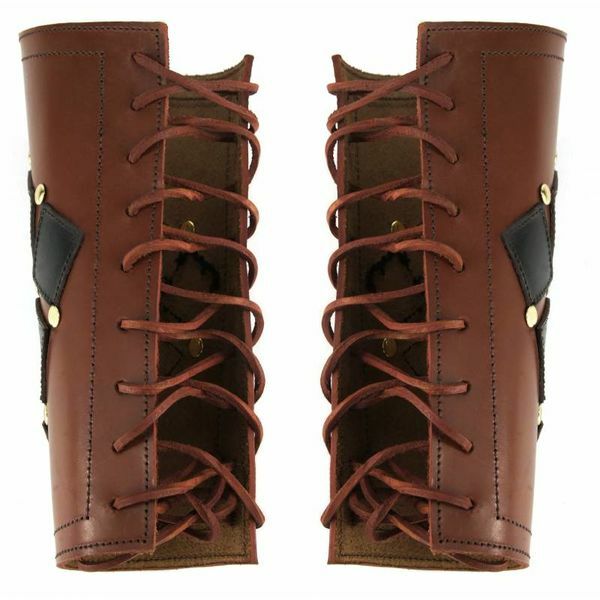 This pair of vambraces is made of brown leather. They are decorated with black leather lozenges. Teh vambraces are 25 cm high and 24 cm wide. They can be adjusted to size with a leather lace.